Holiday Inn Resort Taxi Transfer from Montego Bay Airport, Best Airport Shuttle. Let us provide you with safe and reliable Holiday Inn Resort transportation from Montego Bay Airport while on your vacation in Jamaica, Our Holiday Inn Resort airport shuttle is convenient and economical. Your best option for private taxi transfer service. Advanced reservations and pre-payment for your airport ride take the time and hassle out of getting to and from the airport. 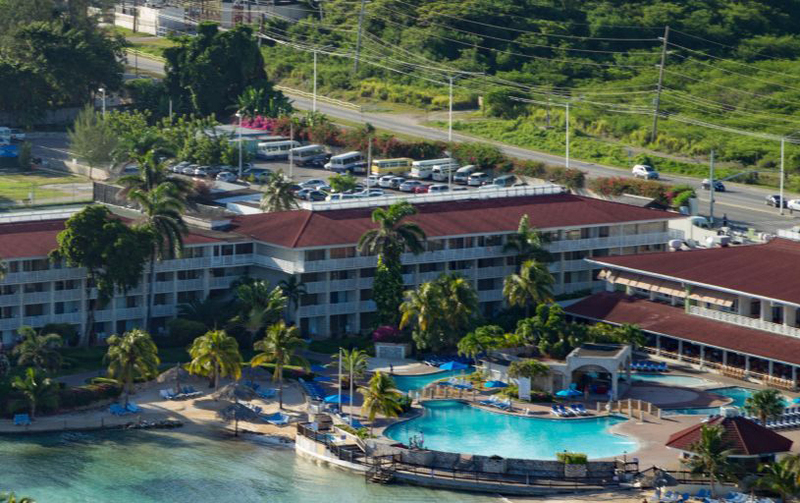 Our Holiday Inn Resort transfers between Montego Bay airport is private and clients will leave as soon as they arrive, no wait, no hassle and no unwanted stops, this is the convenient way to book to ensure a great vacation. Here are some information you will need to know about the Holiday Inn Resort, this resort is located in Montego Bay, an All Inclusive charming 3-star hotel, conveniently located only 20 minutes from the Montego Bay Airport, with easy access to shopping, golfing, jerk center and many other great places to see. Holiday Inn Resort Montego Bay resort has 524 fully equipped and air-conditioned. Our rooms have balcony, clock radios, cable televisions, phone, ironing board and coffee maker, housekeeping services included. Holiday Inn Resort have a lot to offer its many visitors, food is included, as the resort has its own restaurant, a private beach, gift shop, spa, tennis court, outdoor swimming pool, and many more great features, the front desk is opened 24-hours for guest convenience. Other available services: wedding services, tour desk, child care, bellhop, nurses station, laundry and dry cleaning. High-speed internet connection and access is also available. My airport transfer MBJ to Holiday Inn great. My driver Lorenzo was informed, friendly and on time. Lorenzo was great, he was very nice, a great driver! Very prompt. Carlos and Andrae our round trip drivers were very friendly and knowledgeable.